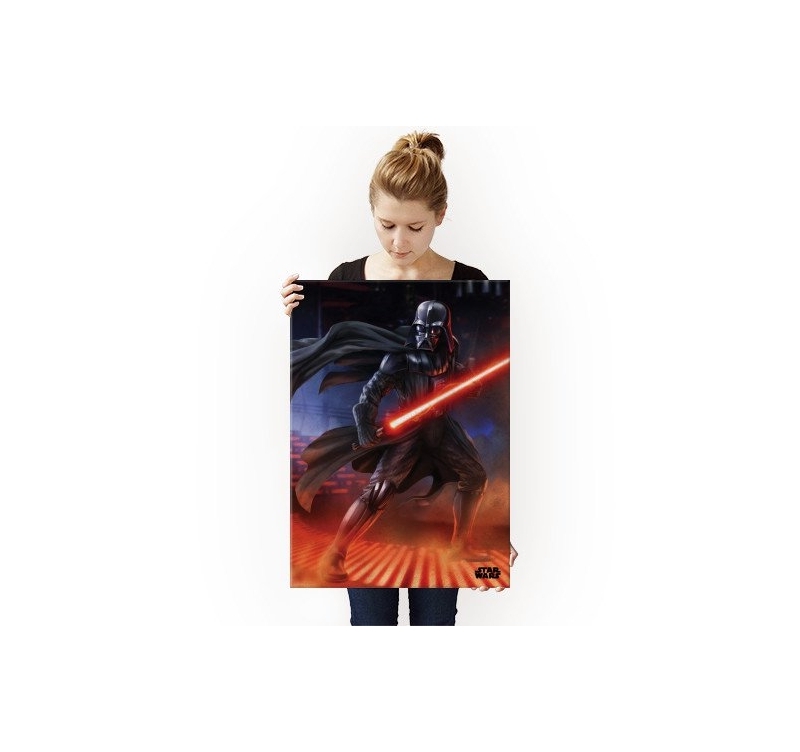 Discover on this metal poster Darth Vador, one of the most powerful character of Star Wars. 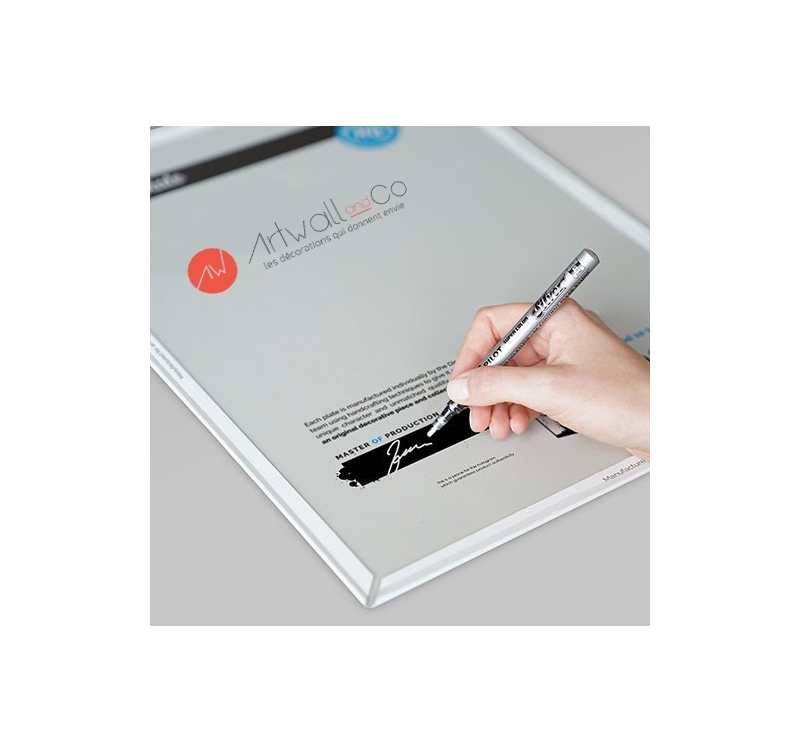 This wall poster is printed with high quality definition for unique details. 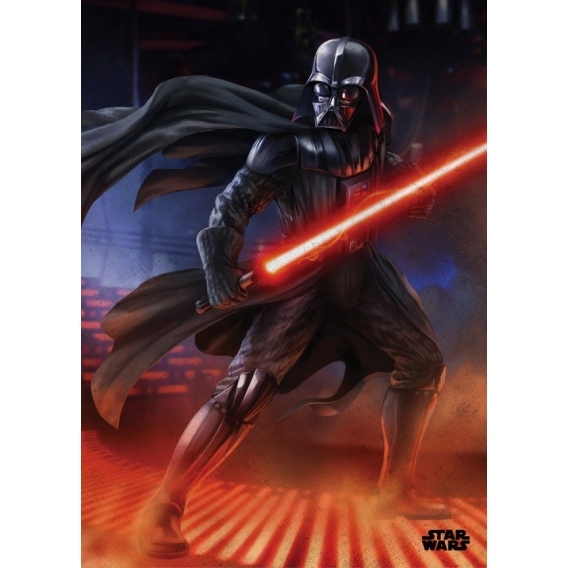 The dimensions of this Star wars wall poster are 48 x 67,5 cm. 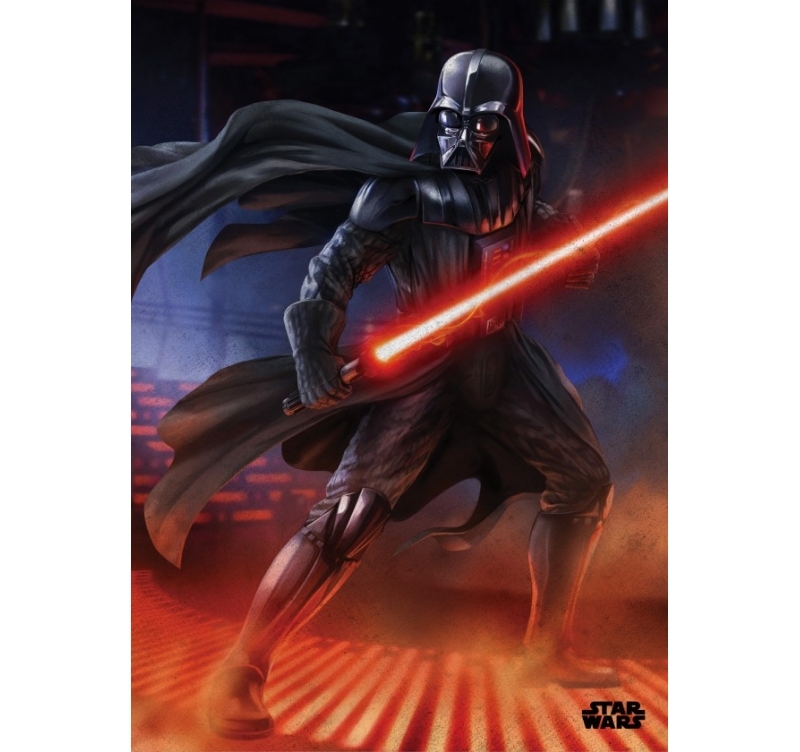 Free delivery in Metropolitan France and Belgium for this Darth Vador poster. 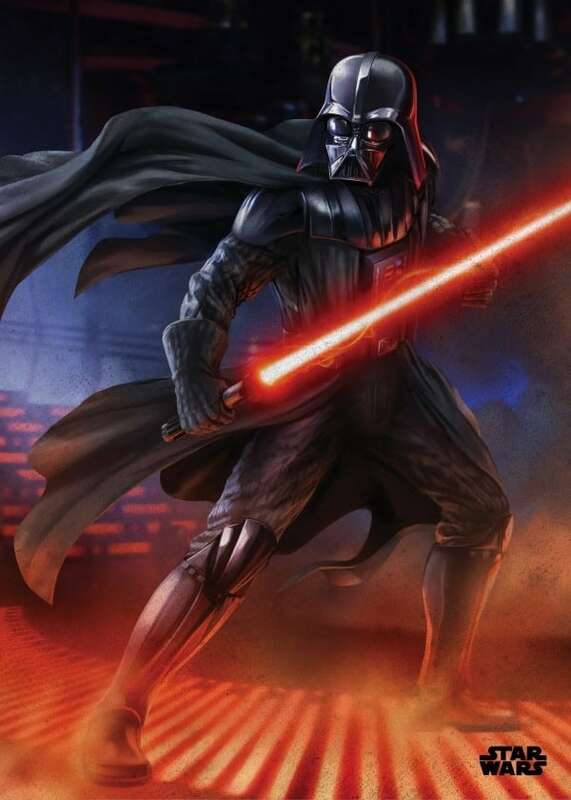 Jedi knight then Sith Lord, Darth Vador is one of the most powerful characters of the Star Wars Saga. Most of the time shown immobile, using the power of the dark side of the Force, this metal poster shows him as a warrior, red laser sabre in hands. The posture chosen by our artists reminds us the rare confrontations between Darth Vador and his son, Luke Skywalker but also against Obi-Wan Kenobi. 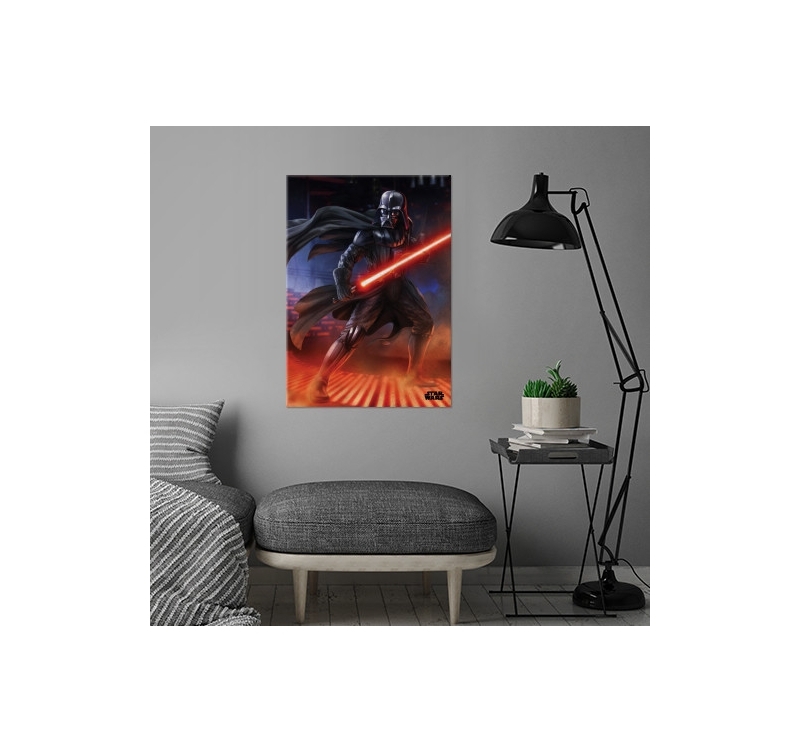 The Star Wars deco metal poster is very easy to hang up thanks to the clever magnetic system delivered with our metal poster. It is hung up in the blink of an eye without risking to damage it or drilling holes in your wall. 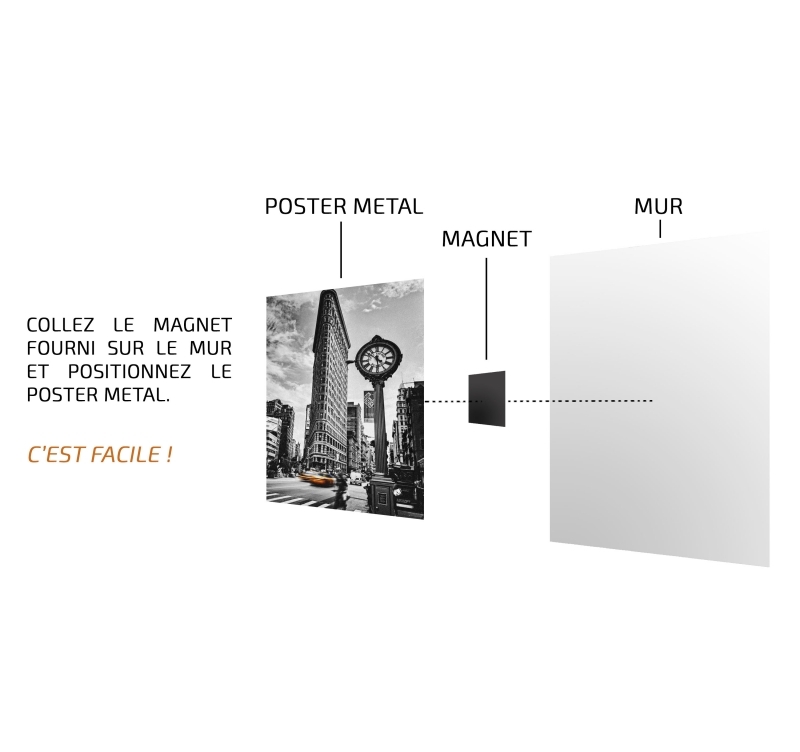 We have affixed a hologram sticker on the back to make of this metal poster an object of collection.